Don’t leave home without these festival beauty must-haves! We are so excited that festival season is officially upon us, which means it’s time to prep your festival beauty routine to get ready for unpredictable weather… not to mention an unpredictable shower schedule! To help you out, we’ve rounded up some of our favorite on-the-go products and festival beauty essentials that will help you to look and feel flawless from day to night even through all of the dancing, singing and partying this festival season. 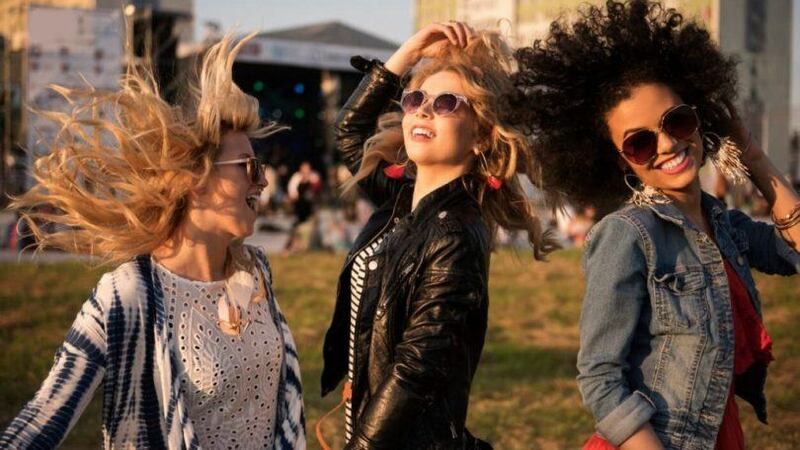 In addition to these festival beauty must-haves, we’re sharing some tips from TRESemmé Celebrity Stylist Tyler Laswell on this season’s hottest hair trends and tips about how to keep your hair looking fresh no matter the weather or lack of shampooing! Read on and have an awesome weekend in the ‘dez, everybody! 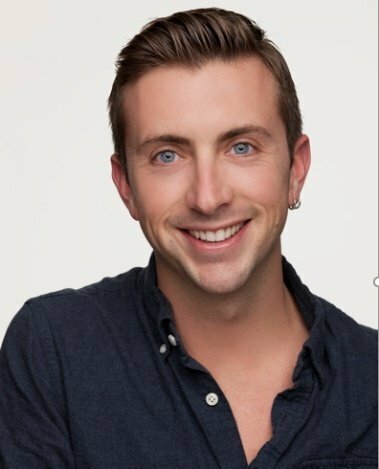 Tyler Laswell is sharing the insider tips on what to bring to your festival. You don’t want to leave home without these festival essentials. 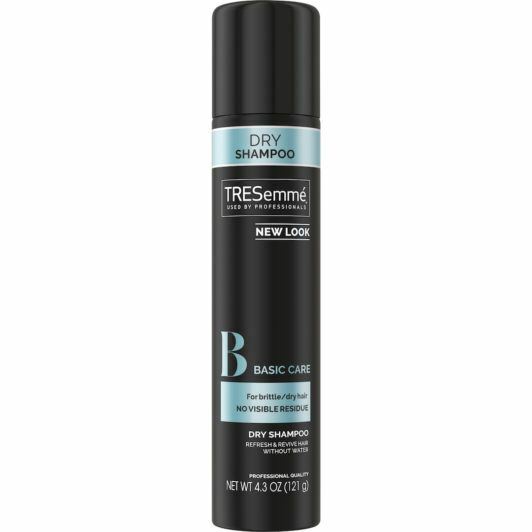 TRESemmé Fresh Start Basic Care Dry Shampoo: Infused with Vitamin B12 and Keratin, this dry shampoo will keep your locks looking fresh at the roots and ready to be styled. One spritz transforms oily, limp and lackluster hair into locks that look and feel freshly washed, even when they most definitely aren’t. 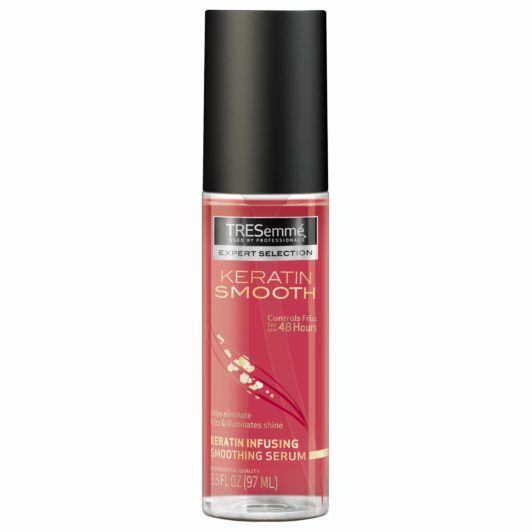 TRESemmé Keratin Smooth Shine Serum: Sometimes freshening up your style is as simple as bringing some shine back to those dry looking mid lengths and ends. This non-greasy formula contains Keratin and Marula Oil that transforms parched strands into silky smooth tresses- a necessity when spending hours under the hot desert sun. Not to mention, it smells amazing which is always a big plus when you haven’t been able to wash your hair for a few days! TRESemmé TRES Two Extra Hold Hairspray in travel size! : Use this extra hold hairspray to keep any look in place for up to 24 hours no matter how much dancing you do! The flexible control formula is water-free, giving hair grip and control sans stickiness and is humidity-resistant keeping flyaways smooth and frizz at bay. 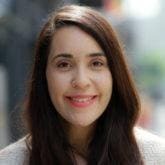 While strong enough to hold your style through wind and rain, hair is still touchably soft and full of natural movement. Dove Invisible Dry Spray: Let’s be real, the desert is HOT and staying fresh and dry is a huge priority. 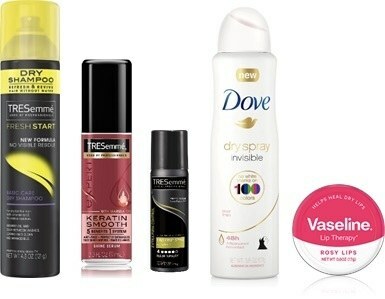 While you’re getting ready for your day in the sun, don’t forget Dove Invisible Dry Spray Antiperspirant. In addition to keeping you odor and wetness free for 48 hours, it is also leaves no white marks on 100 colors of clothing so you can be sure to rock your best bohemian festival looks with confidence. Vaseline Lip Therapy Tin: Protect your pout from the dry desert air with Vaseline Lip Therapy Tins. Available in Original, Aloe, Rosy Lips and Cocoa Butter, this lip balm is clinically proven to help heal dry lips and provide long lasting moisturization. The Lip Therapy comes in an iconic and covetable tin, making it perfect for on-the-go application. Now that you have your festival beauty essentials all set, check out some of our favorite music festival hairstyles!